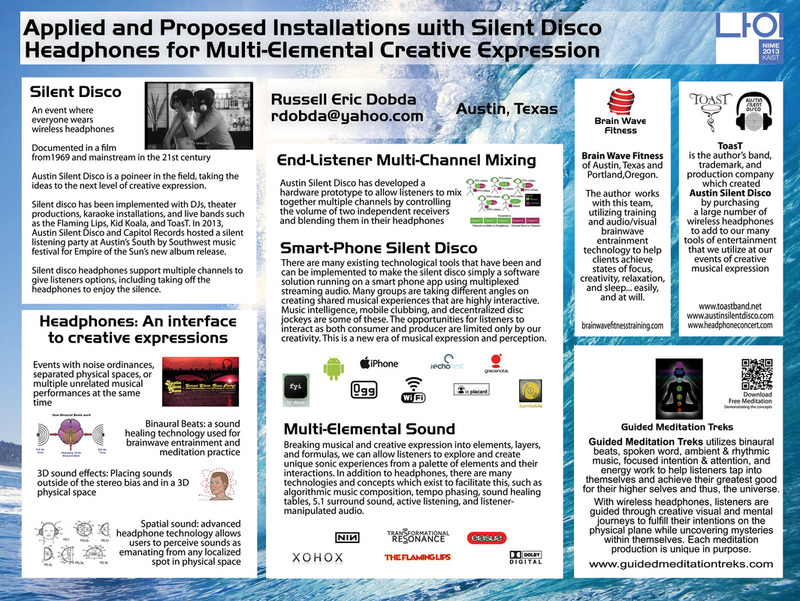 I wrote a paper called: Applied and Theoretical Installations with Silent Disco Headphones for Multi-Elemental Creative Expression. I got to present it in Daejon for the 2013 New Interfaes for Musical Expression conference. You can view the paper below! Also, here is a link to the Guided Meditation Trek that we produced to demonstrate some of the concepts!